LG Electronics is developing its own equipment to apply LG’s unique solar technology. LG technology-oriented DNA in displays, material engineering and semiconductor devices continues in solar. LG Production Engineering Research Institute: an LG in-house institute which specializes in development of manufacturing equipment electronics products, flat panel displays and solar cell/modules. Place your order for LG NeON R modules today! For a limited time, LG is giving away free LG 4K smart TVs to homeowners when 5 kW or more of select LG NeON R modules are installed on their homes. Offer is available while supplies last, so don't delay! 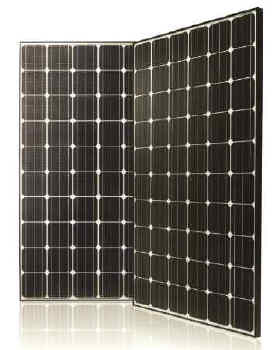 Reach out to your AEE Solar Sales Rep to place your order for qualifying modules. For the full promotion process, check out this TV Promotion Flow Chart.